Overview: Increased transit ridership helps reduce traffic congestion by taking motor vehicles off the road. An efficient transit system can provide quicker access to jobs, reduce air pollution and help to improve the overall livability of our communities. 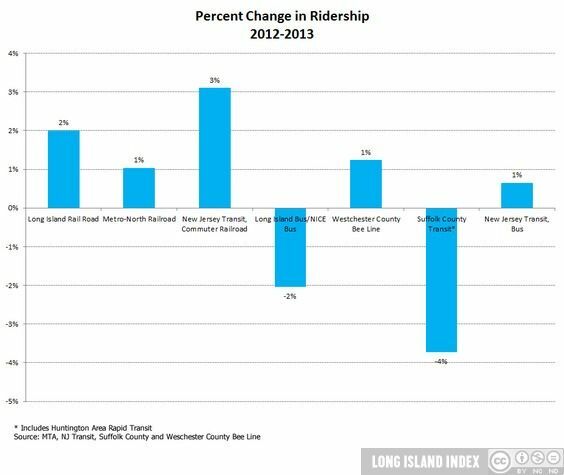 Yet while other suburban regions have been expanding their public transportation options including reverse commutes, Long Island has added no new capacity.